This coming weekend, when the eyes of the sporting world will be firmly fixed on Anfield (where the magnificent Liverpool FC take on bitter rivals Man United) and Camp Nou (where the breath-taking Barcelona take on bitter rivals Real Madrid), the eyes of Ireland will turn towards Edinburgh, where Ireland take on Scotland in the final game of the Rugby Six Nations Championship. Ireland are the reigning Six Nations Champions, having secured the title last season with a heart-in-mouth victory over France in Paris. The scenario this season could be even more dramatic. Ireland go into the final game level on points not only with England, but also with Wales. They need to win to stand any chance of taking the glory again, but even a win may not be enough to see Ireland retain the Championship. Mathematicians will be licking their lips at the prospect of how the Six Nations will be won and lost. This is because England, Ireland & Wales are all strong favourites to win their respective games tomorrow. England face France in London, Ireland take on Scotland in Edinburgh and Wales travel to Rome to face Italy… Are you still with me? England take a 4 point advantage into the final fixture over Ireland, whom in turn lead Wales by 21 points. This makes England slight favourites with the bookmakers ahead of Ireland, with Wales given an outside chance. As is to be expected in any country/sport, Rugby has grown in popularity immensely in the past decade in particular, as Ireland’s national and club teams have become more successful. Rugby has long been a popular sport in Ireland, with plenty of traditional support in places like Dublin, Cork and Limerick, but these days and this weekend in particular, it’ll be on the tip of tongues nationwide. So, if you’re near a television tomorrow, tune in and watch the action and make sure you get behind the Ireland team. It seems we’re going to need every bit of support we can get! Why not come to Ireland and catch a game of Rugby yourself? 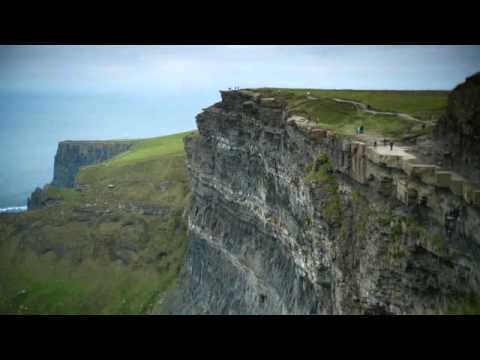 We are experts in ensuring your experience of Ireland will be one you’ll never ever forget. Contact us today and start speak to our experts about your dream vacation in the Emerald Isle!